Praca da Republica 22, Moncarapacho, Eastern Algarve. 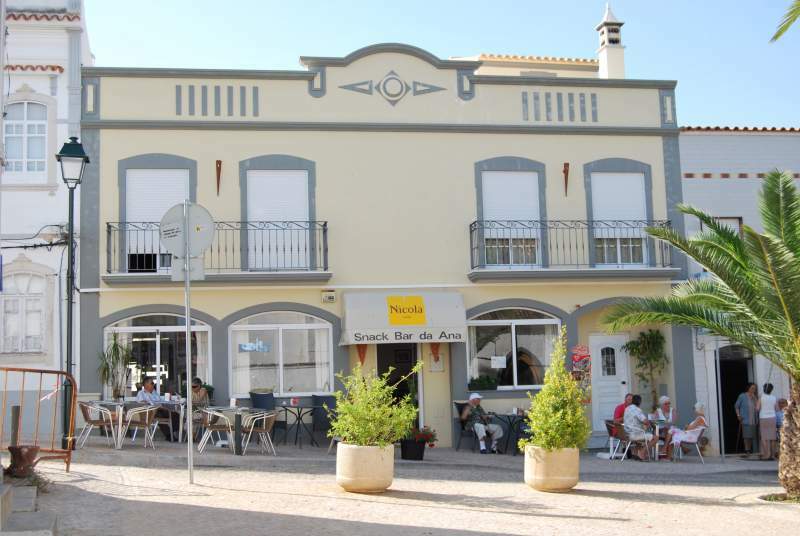 Typical Algarvean cafe bar serving Home-Made Cuisine, Dishes of the Day and House Specials - all freshly cooked to order by Ana herself! Relax to the sights, sounds ... and flavours! of Portuguese village life. Specialities - BBQ Chicken; Grilled Fish. Seating - 40. Style - Laid back. Typical price per person - 8 to 15 euros. Booking - High Season. Other Features - Pavement Tables, Free Wi-Fi, Fado Nights.